It seems like the RDW deck is out of control. Then again, maybe it's just me. 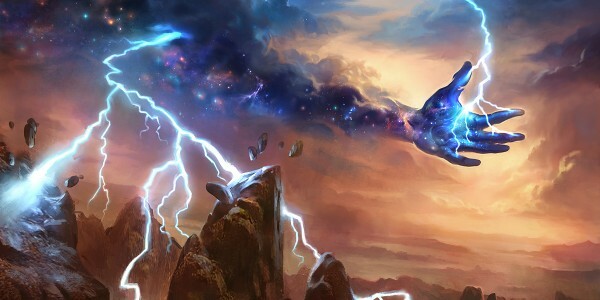 While RDW and Boros have managed a few Top 8 finishes over the past few weeks, it appears that the decks simply aren't consistent enough to take home a trophy. On the other hand, they are consistently beating me. Between the MagicGatheringStrat Standard Pauper league and MPDC, I faced three of them almost back-to-back. Frankly, I'm tired of losing to it. 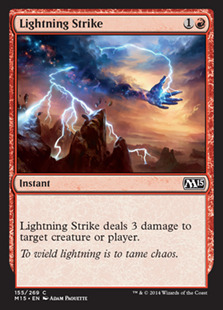 The list ended up having a pretty strong MonoBlack shell, but with a full complement of Debilitating Injury, Lightning Strike, Pharika's Cure, and Magma Spray. Against aggressive archetypes, it can also side in Forge Devil, Feast of Dreams, Scouring Sands, and a 2/2 split of Typhoid Rats and Baleful Eidolon. The concept here is relatively straightforward: remove everything your opponent throws at you and grind out on the back of low Power value creatures like Servant of Tyramet, Disowned Ancestor, Disciple of Phenax, and Gray Merchant. It can refill using Read the Bones, and eventually recycle its creatures using the single copy of Font of Return. If you've got some suggestions for the deck, I'd love to hear them. I'm usually not the best at brewing decks, so I'm sure there's something obvious I missed. Still, I've enjoying my testing thus far, and I hope that this proves to be viable in the current metagame. We'll see.